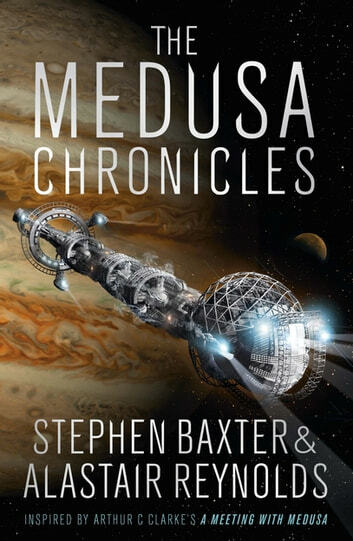 Inspired by Sir Arthur C. Clarke's short story A Meeting with Medusa, this novel, with permission from the Clarke Estate, continues the story of Commander Howard Falcon over centuries of space-exploration, interaction with AI, first contact and beyond. All brought to life by two of our greatest SF authors, Stephen Baxter and Alastair Reynolds. ***The Medusa Chronicles***charts his journey through time, the changing interaction between humanity and our universe, and combined moments of incredible action with unparalleled exploration of and expansion into space. A compelling read from the beginning, this is classic SF which has appeal for readers who like Gravity and The Martian. Entertaining, slightly more than average SF. Gets a little better towards the end.